We offer a range of attractive finance packages such as 0% over 12 months, or interest bearing credit. 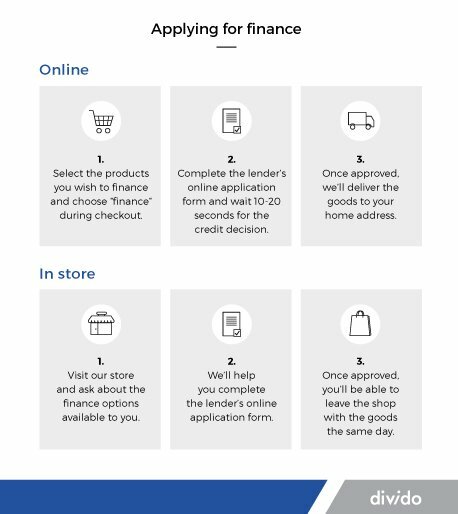 The application process is simple, takes around 5 minutes for you to complete, is carried out online and you will receive a decision made within 30 seconds of completion. In case you decide to take advantage of our instalment plans, here’s a quick guide to everything you’ll need to know. Whether you’ve been coveting one of our lovely granite water features, a stylish copper fountain, or a new steel water feature why not make budgeting for it a little more flexible. Feel free to give us a ring on 0161 375 1232 or send us an email on support@waterfeatures.com, and we would be happy to answer any questions you might have. Alternatively, pop into our warehouse and we can process your application while you wait.